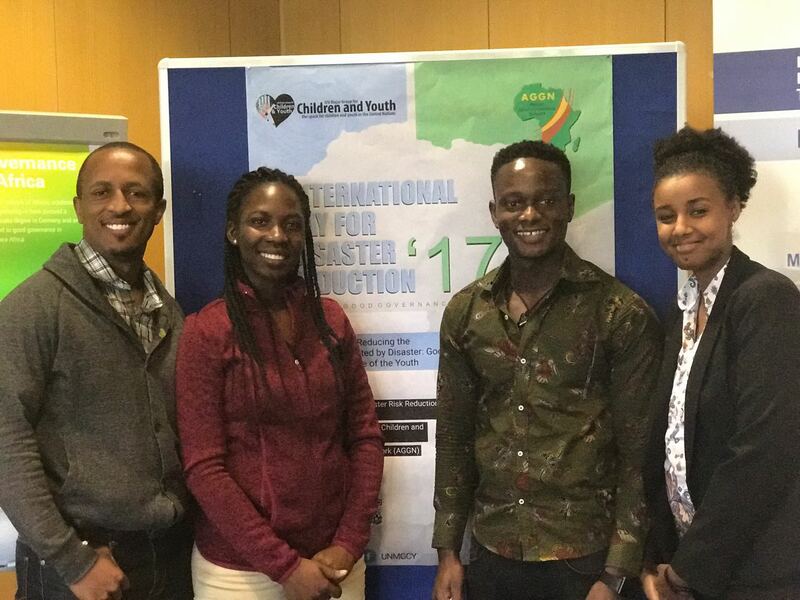 The international Day for Disaster Risk Reduction was organized by the Africa Good Governance Network (AGGN) and the United Nations Major Group for Children and Youth (UN MGCY). 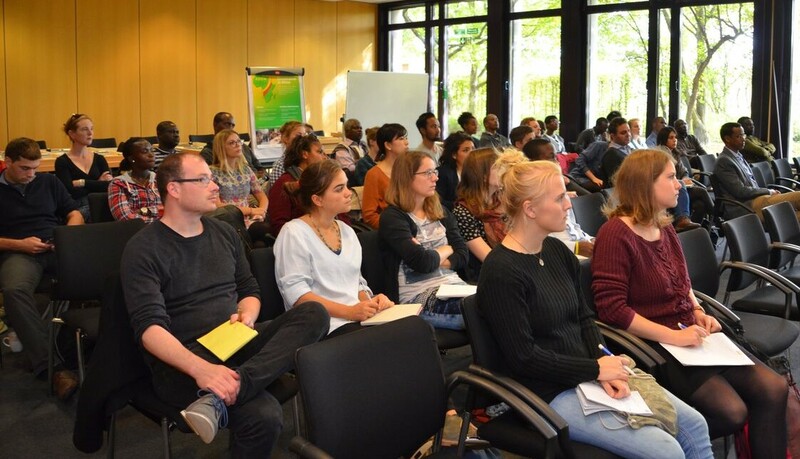 It took place at the Center for Development Research (ZEF) in Bonn on the 12th of October 2017. The topic of the event was 'Substantially Reducing the Number of Affected People by Disasters; Good Governance and the Role of the Youth'. The United Nations International Strategy for Disaster Reduction (UNISDR) was represented by Ritsuko Yamazaki-Honda who is the Programme Management Officer for the Sendai Framework Monitoring Branch of the UNISDR-Bonn. She gave a presentation on the Sendai Framework and the inclusion of children and youth to ensure that risk governance is participatory, inclusive and transparent. Sandra Delali Kemeh, the Africa Regional Focal point for the disaster risk reduction (DRR) working group of UNMGCY, presented the current state of affairs of meaningful Africa youth engagement in DRR at different scales. She also commended UNISDR for institutionalizing children and youth engagement through the newly launched youth engagement platform, a vital step towards ensuring good governance. Ms Lena Huhn, research associate with the German red cross, gave a presentation on her work on forecast-based financing to reduce DRR. She touched on the importance of youth inclusiveness in DRR for creating ownership. The event ended with a networking reception. 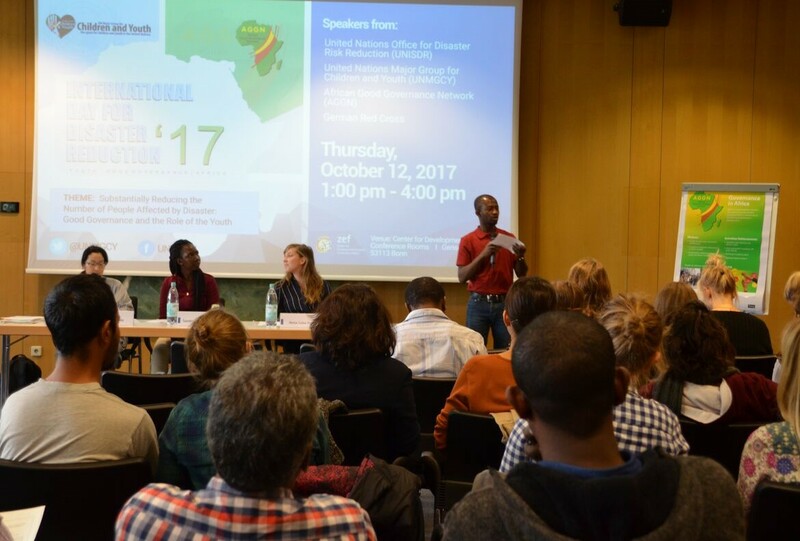 In total three speakers, academics and practitioners alike, shared their experience with youth inclusion in disaster risk reduction. The event was attended by students and professionals.